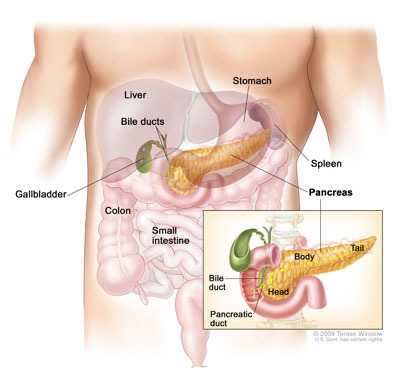 The pancreas is a gland located deep in the abdomen, between the stomach and the spine. The liver, intestine, and other organs surround it. Shaped like a flattened pear and about six inches long, the widest part is called the head, the middle section is called the body and the narrowest part is called the tail.